Win a Brand New Bike & GOLD Ride Entry to Pedal For Scotland! PLUS a brand new bike from Cycle Republic! Pedal for Scotland’s main event day will feature the 45-mile Classic Challenge, and the 100-mile Big Belter from Glasgow to Edinburgh from Glasgow to Edinburgh, and the 10 mile Wee Jaunt Edinburgh from Linlithgow to Ingliston. All riders will receive a finishers medal, snack and refreshments at all rest stops (rest stops roughly every 10 miles), mechanical support, lunch (pasta, sandwiches, water, bananas, cereal bars) making for the perfect active day out for groups of friends, family or work mates. There a ride to suit everyone, you just need to decide which to do! The Pedal for Scotland Classic Challenge is a 45-mile bike ride from Glasgow to Edinburgh. This is the event’s most popular ride and attracted over 6,000 participants in 2017. 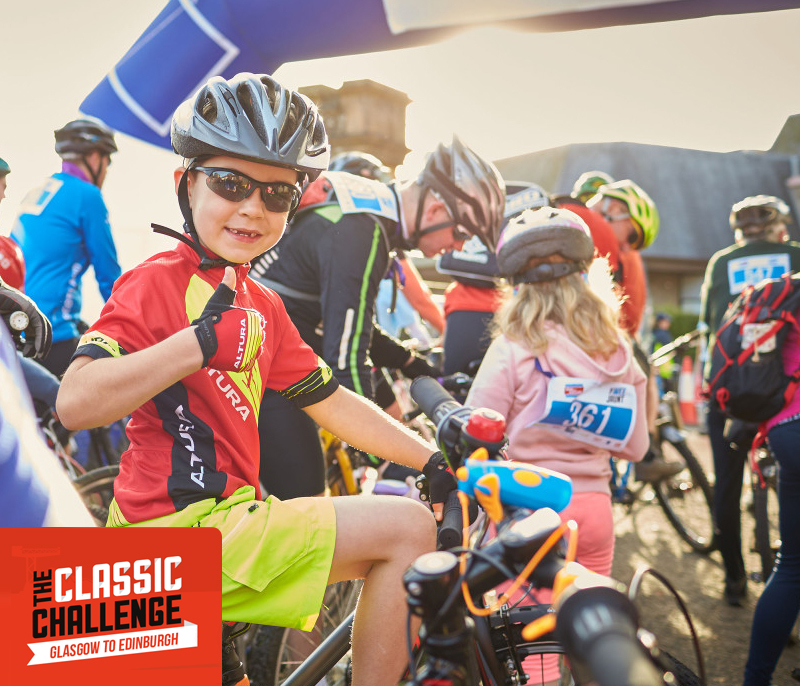 Challenge yourself, take part with friends and family or raise money for great causes - no matter your reason for taking part, the Classic Challenge is a fantastic day out on your bike. The GOLD option provides fantastic extras and the ability to create a team. The Pedal for Scotland Big Belter is a Sportive ride of 100 miles from Glasgow to Edinburgh. 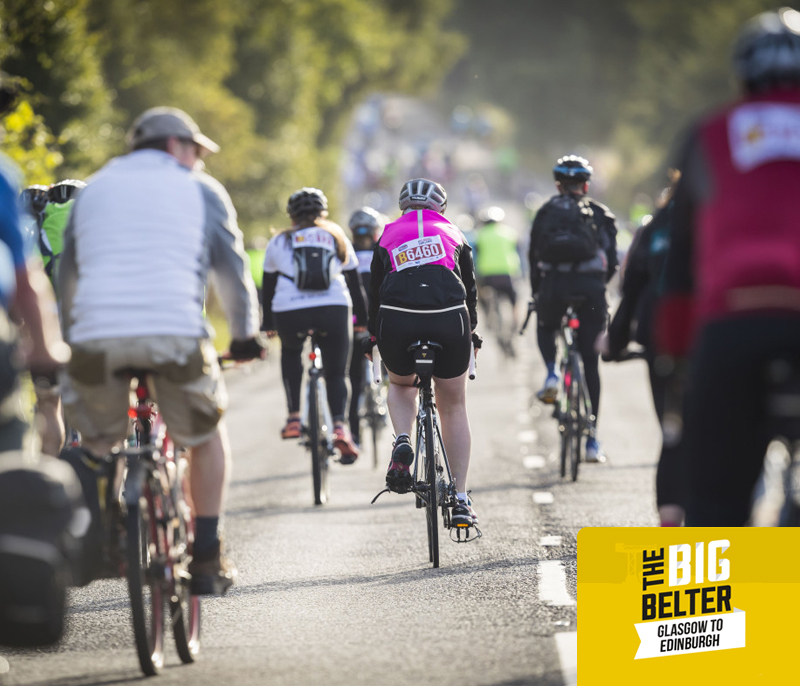 The ride uses the same start, first 25 miles and finish points as the Classic Challenge ride, meaning you get the buzz of Scotland’s biggest bike event on a quieter route designed for serious roadies. The GOLD option provides fantastic extras and the ability to create a team. 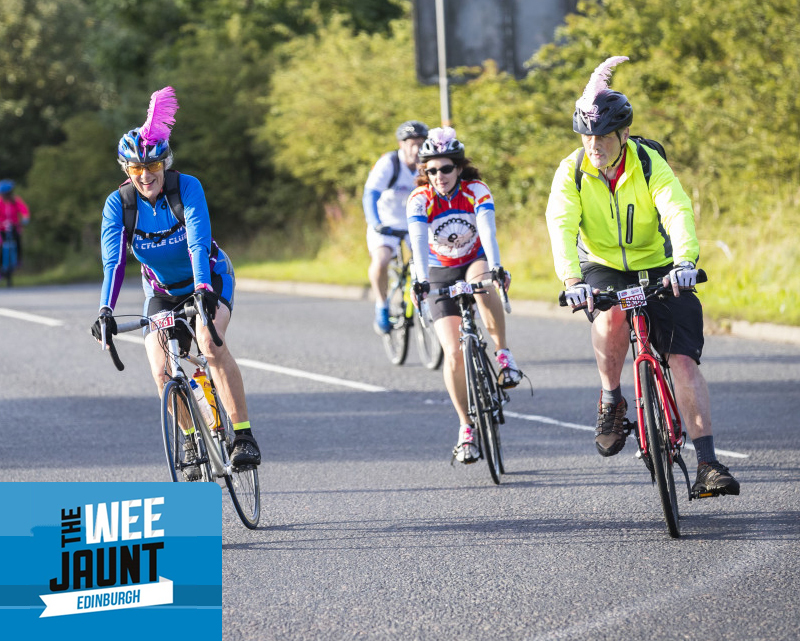 The Wee Jaunt provides a fantastic and traffic free route taking in the last 10 miles of the Classic Challenge route, starting in Linlithgow and joining the festival atmosphere with the rest of the Pedal for Scotland Classic Challenge and Big Belter® riders at the finish line at the Royal Highland Centre.